Non-Jewish Frenchman in Marseilles have told community President Zvi Amar that they will wear kippot to show solidarity with the community. The President of the Jewish Community in Marseilles, Zvi Amar, attempted to calm the tensions that were raised following the comments he made to the press stating that Jews in Marseilles should take off their kippot in response to the murder of a Jewish politician which occurred in the city. “Whoever wants to follow my advice is welcome to. It is completely legitimate for others to think differently,” he added. Amar said that one of the unexpected reactions to his statement was that a number of non-Jewish Frenchman approached him and said that they will wear a kippah in solidarity with the Jews of the community. He told Arutz Sheva that these acts have brought him joy, to know that there is support for the community among the non-Jewish community as well. 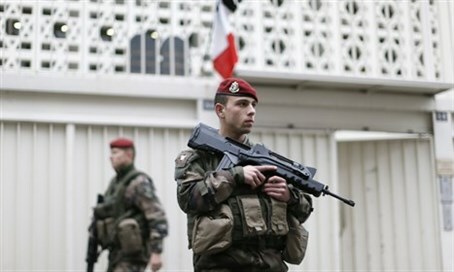 Amar also said that French security forces are doing their utmost to protect the Jewish community, its schools and synagogues.